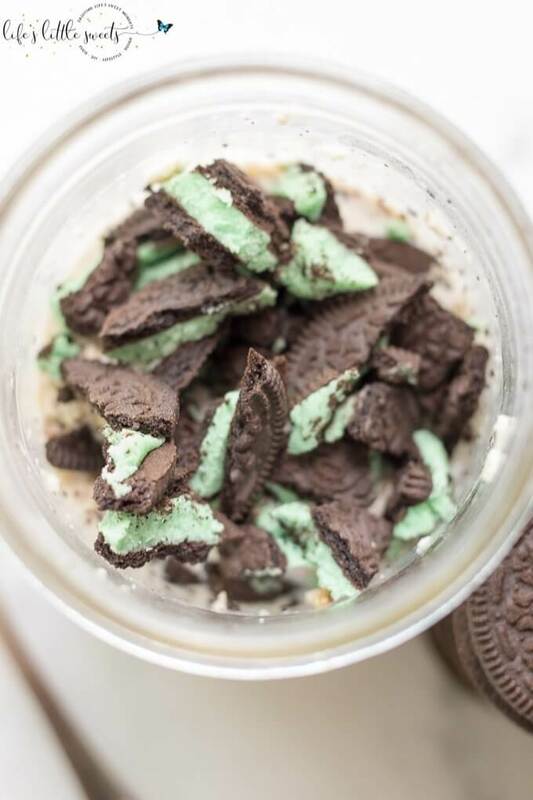 Hi Everyone, I think I am on a mission to create every flavor of overnight oats. 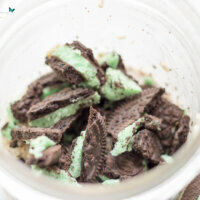 It’s still one of my favorite breakfasts. I think because you have to prepare it ahead of time which makes me more likely to have breakfast since I’ve been known to skip breakfast sometimes. I know, I know, for shame! 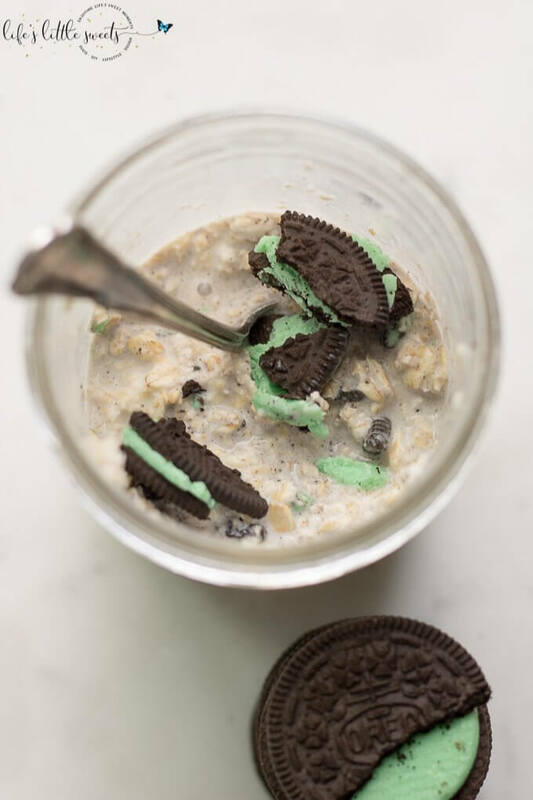 The recipe inspiration for these Cookies and Cream Overnight Oats came from How to Prep Overnight Oats for the Week (video) and Cookies and Cream Overnight Oats. 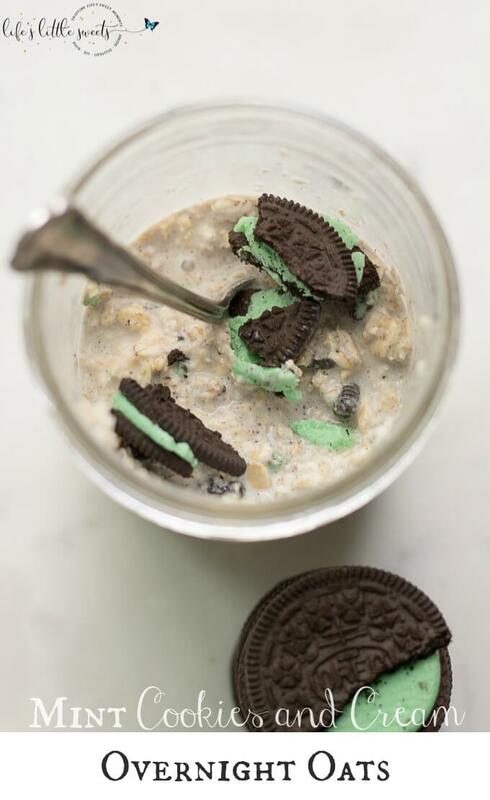 You can check out all of our overnight oats recipes, here. 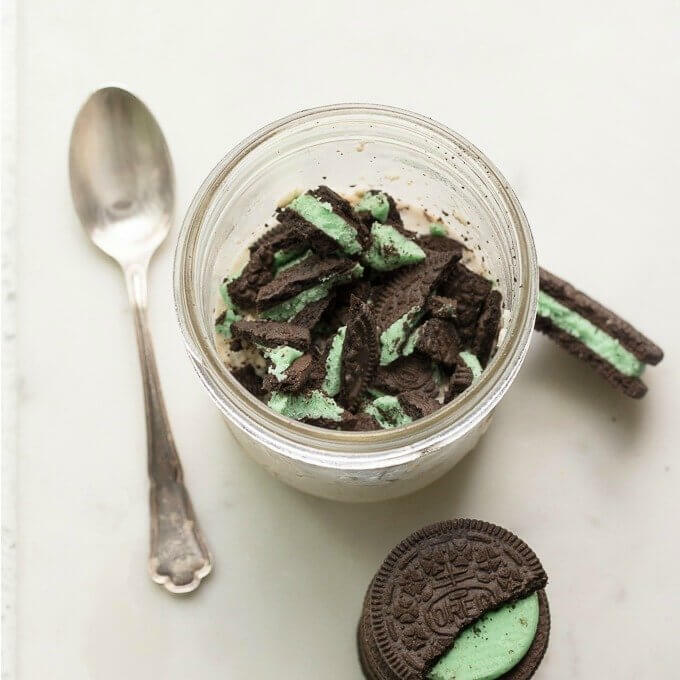 Let me know if you try this Mint Cookies and Cream Overnight Oats in the comments below or tag on Instagram #lifeslittlesweets, thank you! 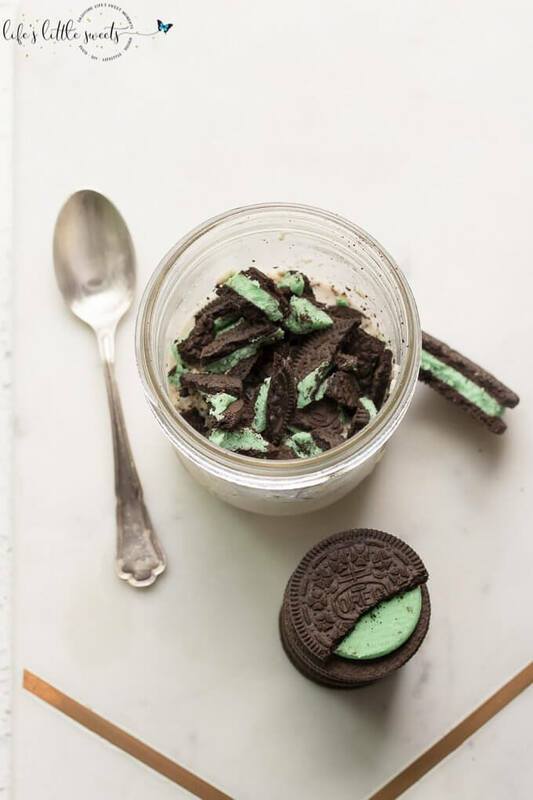 In a pint size mason jar or container with a lid, add the oats and milk (or dairy free milk), let it sit 8 hours or overnight in the refrigerator and crumble the mint OREO cookies on top and mix in when you are ready to eat. 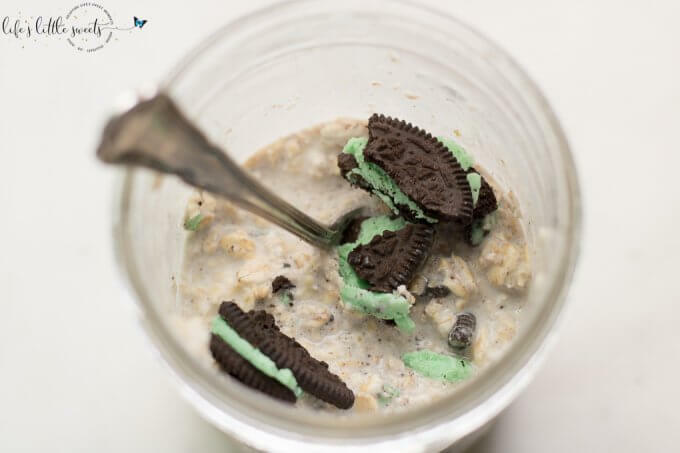 You can also add other ingredients to these overnight oats, I have added in the past chia seeds, ground flax seed, your favorite protein powder. 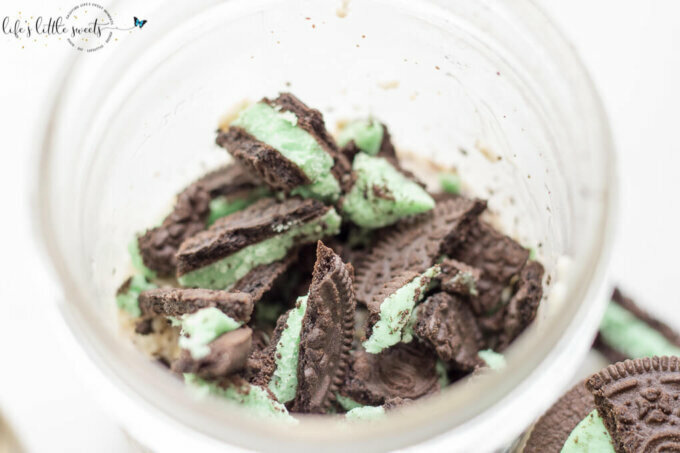 Just keep in mind that you might need to add more milk if these ingredients soak up more liquid.